Mexico’s Yucatan Peninsula Caribbean Coast stretches from Cancun to Belize. In that stretch, there is a slice of heaven called the Riviera Maya. The Riviera Maya has one of the most beautiful turquoise seas in the world. With its powder fine sand and amazing beaches, you would be foolish not to travel to this oasis. Here are some things to think about when going to the Riviera Maya. The principal city is Playa del Carmen and is located in the heart of the destination. One of the neat things about the city is the fact that it is entirely pedestrian. In the city, you will find bars, nightclubs, handcraft stores, coffee houses and restaurants. Shopping here is great with a large variety of shops. In Playacar, there are several chain hotels in a beautiful private elegant area. The resorts are located on the beach surrounding the Playacar 18 hole Golf course. The golf course is one of the most challenging courses in the world because it is so narrow. If you just want to relax, you can always relax in the spa at the golf club. Here are the top 10 activities that you can do when in the Riviera Maya. These activities range from amazing archaeological sites to community tours, to the underground world and more. Tulum Archaeological site – This walled city dates back to the classic period that has over 60 preserved structures. 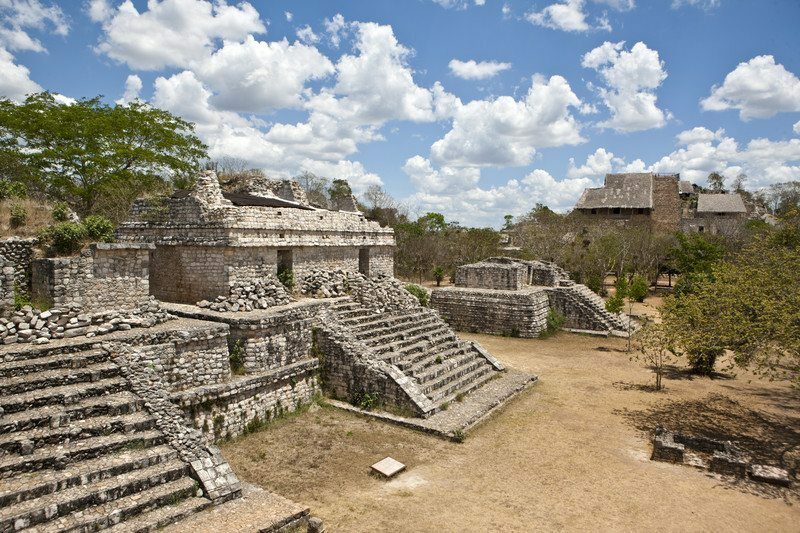 Xcaret – eco-archaeological park with many different attractions. Rio Secreto – Discover the incredible underground world of caves, some are semi-flooded. The stalactites here are amazing against the cool green waters. Maroma Adventures – Snorkeling, diving, water sports and horseback riding are the main attractions here. Riviera Maya Jazz Festival – Are you a jazz lover? This is the festival that you don’t want to miss. It takes place Nov 26-28 in 2015. You will experience some of the most influential and incredible jazz musicians here. The Riviera is a hot spot for the latest foodie trends and upcoming restaurants. The city has a vibrant and distinct style and flavor that you will want to bring home with you. Here are some of the top places to dine at. Oh Lala – Refreshing atmosphere and great food where you are treated like long time friends. Maiz De Mar – Here you will experience the highest quality of foods that you can find from local ingredients. La Cueva Del Chango – Natural Mexican food from breakfast to dinner and the freshest fruits you can find. La Zebra – One of the ten most romantic restaurants you can find with excellent food and service. Divino – If you love Italian, then this is the restaurant for you. At night, Playa Del Carmen comes alive at night with a variety of vibrant bars and night clubs. You can tap into the swanky nightclubs, sports bars, exotic hookah houses or just relax on the beach at an open air bar. Here are some of the hot night spots to check out when there. Diablito Cha Cha Cha – A fun fusion of Asian and Mexican cuisine with a Dj spin of funky cha cha music. La Zotea – This restaurant bar serves fantastic Spanish delicacies. Tequila Barrel – This sports bar might be your last stop. Don’t get lost in the barrel. Mandala – This Asian style popular beach bar allows you to dance on the ground floor all while mixing it up with the latest in pop and techno music. When you are in the Riviera, don’t forget to drink bottled water. The water that is on tap is not drinking water. If you need to plugin for electricity, don’t forget to bring a 220volt converter. One of the nice things about Riviera is the taxis are available 24/7 and can get you around easily.